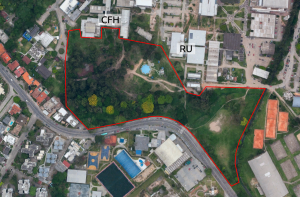 Woodland and CFH location at UFSC. 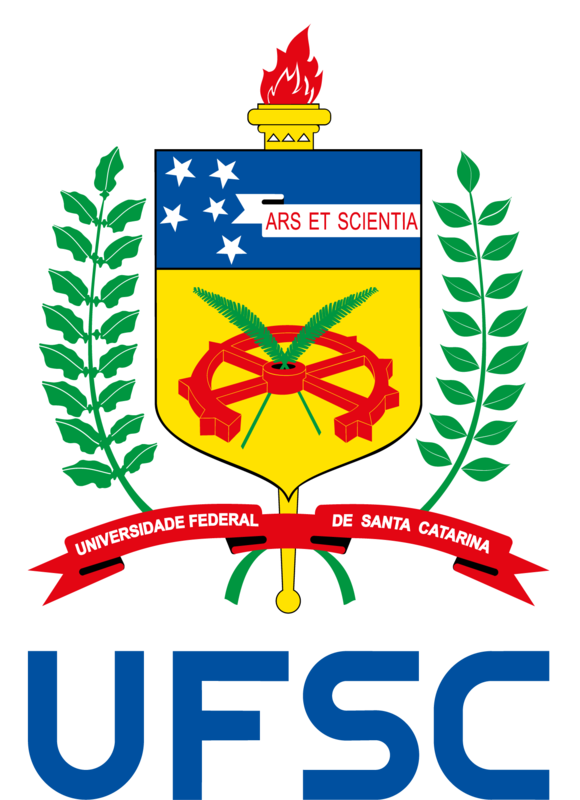 The UFSC woodland has around 5ha and is one of the main green areas in Trindade campus. This place has relevant importance to life quality in the university whole socialising space. Its plant cover comprehends some degraded areas and forests in different successional stages. There are three streams conforming buffers of permanent protection along it. The environmental regeneration project began at 2014 as a initiative of Philosophy and Humanity Sciences Centre (CFH) thought it Revitalisation Commission in association with Permaculture Study Group and UFSC Environmental Management. The major aim is to ally land degradation to food production though agroecosystems designed according to permaculture way. The permaculture design was a fundamental stage, because could define energetic zones establishing different uses areas and plants to be inserted in the landscape. The zones definition take in consideration the pre-existent elements (tress, buildings, consolidated and circulation areas) and distances from project focus (zone 0). Planejamento por zonas energéticas da permacultura. Located in the higher terrain in woodland. In this zone the project aim to construct a bioconstruction structure to welcome visitors, teaching actions, socialising,meetings and administrative activities. 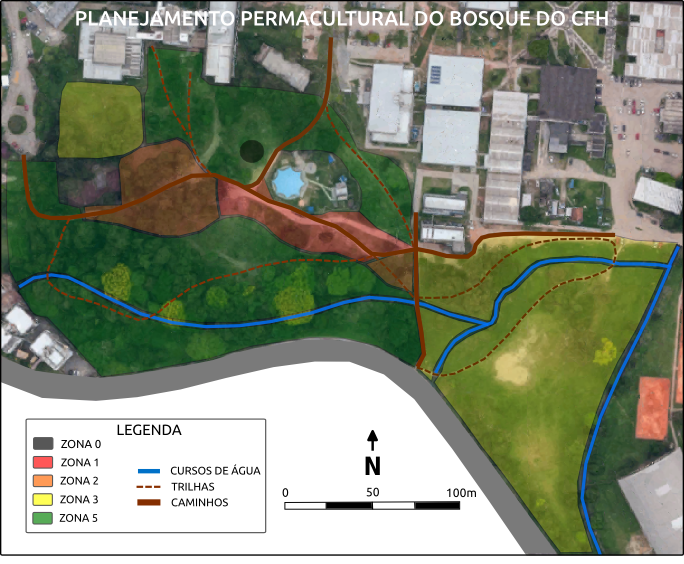 Near to zone 0, this zone will be composed by a food garden designed by agroecology process, a didactic circuit with trail for environmental education and one earthworm space. This zone will be composed by permaculture orchards with ecological interest fruit trees over current eucalyptus trees. The multifunctional agroforestry will be the principal agroecological arrangement to restoration of riparian forest and permanent protection strip. The areas chosen to be represent zone 5 are those already have consolidated and climax stage trees. 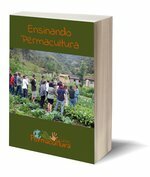 Nowadays, the project is active and it is performed by collective actions where the permaculture knowledges are shared.